Circumstances - SANDFORD was last seen in January 1980 at Cammeray. MARION SANFORD scrawled a handwritten note to her brother in 1980 saying she had met some friends and would be back to their shared home within a week. Thirty years on, Peter Sanford is resigned to the fact that something sinister happened to her. Yesterday, acting NSW Police Minister David Campbell announced a $100,000 reward for information relating to her "presumed murder". 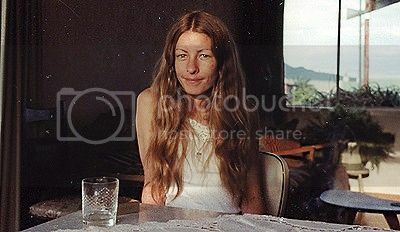 Ms Sandford was a 23-year-old New Zealand citizen living with her brother at Cammeray, on Sydney's north shore, when she vanished on January 24, 1980. Three days later, he received these haunting words on a scrap of paper: "I am not at all sure when I will be home but it should be within 2 days to 1 week at the latest I suppose! Met a couple of friends. See you later, love Marion." Speaking from his home in Wellington, New Zealand, Mr Sanford said: "I knew in my heart something bad had happened. When two or three Christmases passed without her popping her head around the door, there was that deep knowledge she was never coming home." Harbourside Local Area Command Detective Sergeant Robert George said that at the time of her disappearance Ms Sandford was known to police with a record for possession and use of heroin. "We have since uncovered information to suggest she may have been looking to get involved in the importation side of things, as a drug courier." "Being involved in the drug trade is obviously a high-risk activity and I'm surmising that anything that has happened to her has happened as a result of being involved in those circles," Sergeant George said. "She came from a good honest family and they deserve closure."